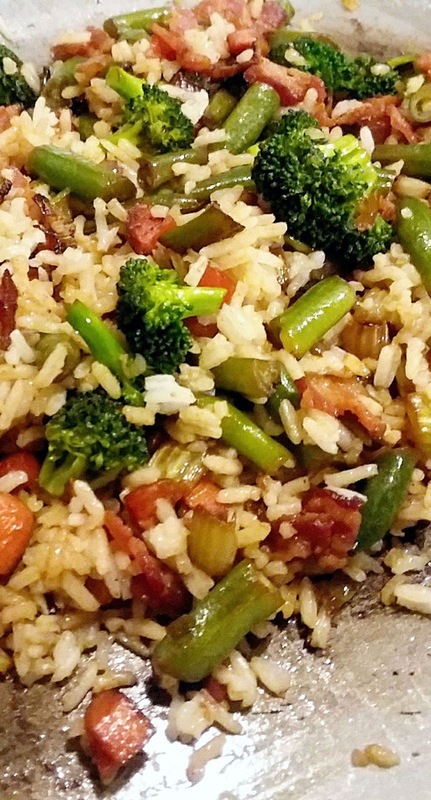 Perfect side dish or light main meal, this fried rice is quick and easy to make. It uses farmers market fresh veggies, to include broccoli, and even uses the cut stalk pieces of the broccoli. If your broccoli is fresh and tender, the stalk is equally tender and delicious, so don't throw it away, try it here. Using a large fry pan, cook bacon pieces until crisp. Remove with a slotted spoon and drain on paper towels. Discard bacon grease reserving 1 tsp. in pan. Add celery, carrots, green beans and onion, cooking until onions are translucent and vegetables are softening. While this is cooking, cut the broccoli florets from the stalk and cut the stalk into small pieces, discarding the very bottom of the stalk. Add stalk pieces and cook a few minutes. 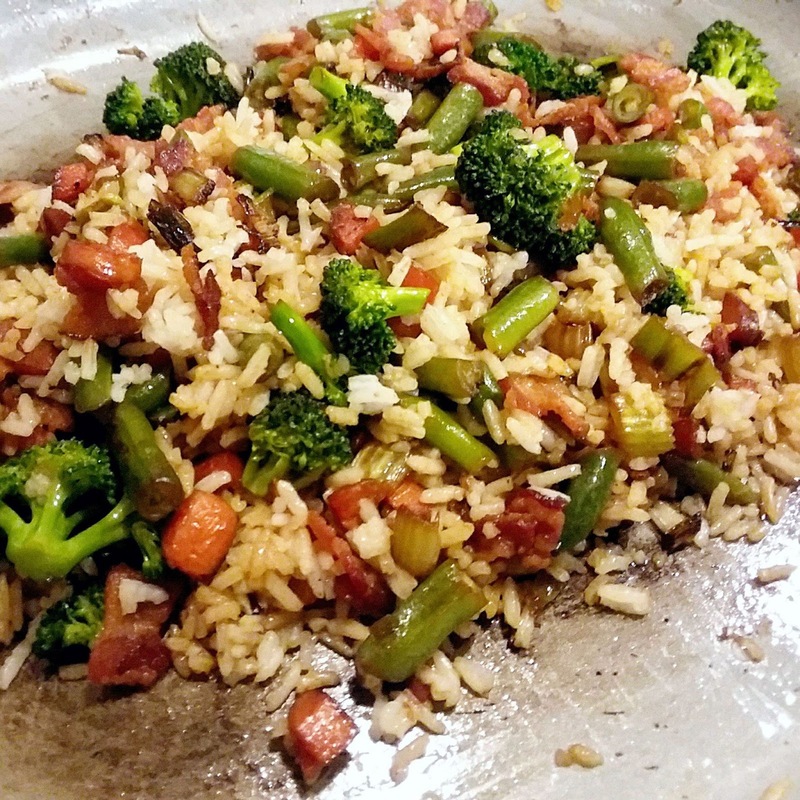 Add broccoli florets last, cooking just a minute or two, or until al dente or crisp tender (not soft and mushy). Stir in soy sauce to taste. Add cooked rice and bacon pieces and toss until well combined. Serve hot with more soy sauce if desired.